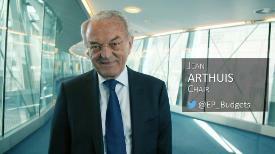 On 11 April, BUDG Members adopted the proposal of the rapporteur, Mr Jean Arthuis (Chair), to give consent to the draft Council Regulation on measures concerning the implementation and financing of the EU budget in 2019 in relation to the UK's withdrawal from the Union. The plenary vote will take place during the April II session. Under the proposed contingency framework, the UK and persons or entities established in the UK could continue to benefit from Union financing, until 31 December 2019, under legal commitments entered into before the withdrawal date. This is subject to the condition that the UK continues to contribute to the financing of the 2019 EU budget and accepts controls and audits covering the entire implementation period. The aim is to minimise any negative impact of the UK's withdrawal for the Union budget and for the implementation of the Union's policies in the case of a no-deal scenario. Under the consent procedure, Parliament's consent is required before the Council can act unanimously on the Commission proposal. in particular regular contacts between the EP's negotiating team and the Council in the four months following the adoption of the MFF interim report and while Parliament is about to close its first reading on almost all sectoral proposals. On Monday 1 April, BUDG Members, jointly with their colleagues from CONT and LIBE, welcomed Mr Fabrice Leggeri, Executive Director of the European Border and Coast Guard Agency (Frontex), for a discussion on the achievements, opportunities, but also the main risks facing the agency. Frontex has been in the focus of policy as well as budgetary debates. The agency plays a key role in the EU's external border management and its activities are often presented as an example of 'European Added Value' in the context of the priorities for the next Multiannual Financial Framework. The further build-up of Frontex against a turbulent geopolitical backdrop poses multiple challenges in terms of legal mandate, the scope of action as well as financial and human resources. Based on desk-based and empirical research, this Study finds that the absence of overall and consistent commitment to gender equality in the EU budget and the budgetary process continues. As a result, the Study calls on the European Commission, the European Parliament and the Council of the European Union to take legislative action to anchor gender equality to all policies that receive funding from the EU budget. Fáilte romhaibh chuig an leathanach seo atá ag an gCoiste um Buiséid i bParlaimint na hEorpa, arb é an coiste sin ceann de chraobhacha an údaráis bhuiséadaigh Eorpaigh. Is 41 chomhalta atá ar an gcoiste mar aon leis an méid céanna comhaltaí ionaid agus déanann sé, in éineacht leis an gComhairle, buiséad an Aontais a phlé, a scrúdú, a leasú agus a fhormheas. Chomh maith lena bheith ina reachtóirí, tá socruithe a dhéanamh i dtaobh cúrsaí cánach ar cheann de phríomhfheidhmeanna Pharlaimintí Bhallstáit an Aontais Eorpaigh. Ní féidir leis an Aontas Eorpach ann féin cánacha a bhailiú, mar gur réimse é seo atá fós faoi chúram na mBallstát agus is amhlaidh a bheidh go dtína leithéid sin d'am agus go mbeidh a chuid acmhainní dílse tugtha d'AE. Ach tá buiséad ag AE as a bhféadfaidh sé na beartais Eorpacha a chistiú agus lena bhféadfaidh sé dea-fheidhmiú a chuid institiúidí a áirithiú. Tá sé i gceist agamsa mo chuid fuinnimh go léir, mar aon leis an taithí agus an saineolas atá agam, a dhíriú ar a chinntiú go mbeidh buiséad AE ina uirlis láidir a chuideoidh le fás agus le fostaíocht. Maidir leis an méid sin, tá sé beartaithe agam a áirithiú go mbeifear in ann an deis a thapú ag an athbhreithniú lár téarma ar an gcreat airgeadais ilbhliantúil dul i mbun caibidlíochta an athuair leis an gComhairle. Beimid ag díriú isteach freisin ar roinnt saincheisteanna tábhachtacha eile, lena n-áirítear an buiséad don limistéar euro, córas iarbhír a thabhairt isteach le haghaidh acmhainní dílse agus – ceist a thagann chun cinn go rialta – gealltanais gan íoc. Tá sé i gceist ag an gCoiste um Buiséid gach rud is féidir leis a dhéanamh chun spreagadh agus brí nua a thabhairt d'AE.